The same storm that caused officials to close a section of Interstate 90 in Washington on Saturday will continue to spread snow and unusually cold air across the western United States early this week. “After a very warm start to February, this storm will signal a pattern change by dragging much colder air into the region,” AccuWeather Meteorologist Max Vido said. Motorists should prepare for slow and treacherous conditions on stretches of interstates 15, 25, 70 and 80 across the Rockies. The snow will be a delight for the ski resorts, Vido added. Travel may become especially difficult in the corridor from Salt Lake City to Casper, Wyoming. 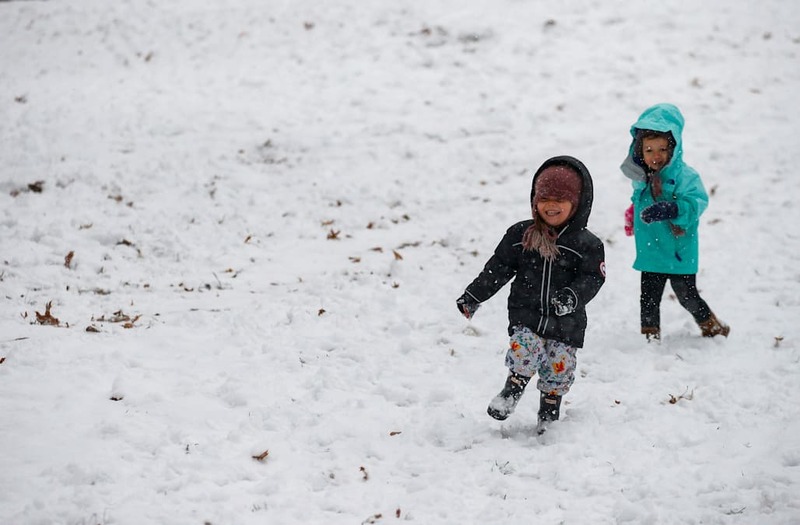 “The 4-8 inches expected in Salt Lake City would be the most snow to fall in the city since mid-January,” Vido said. Amounts may approach a foot around Casper. Enough snow to cause roads to turn slippery for a time is also expected in Flagstaff, Arizona, on Monday and Denver on Monday night. The snow will fizzle before spreading much farther to the south of Denver along I-25, meaning another missed opportunity for much-needed wet weather in the drought-stricken areas of the southern High Plains. Similarly, Southern California will not receive substantial rainfall from this storm. As the storm plunges southward, winds strong enough to cause power outages, tree damage and hazards for high-profile vehicles will sweep into the Desert Southwest on Monday. Blowing dust can also get whipped up across the deserts, dramatically reducing visibility for motorists. While not all of the West will have to deal with snow or strong winds from this storm, the cold plunging southward will be more far-reaching. Highs will be held 10 to 20 degrees Fahrenheit below normal in most communities through Tuesday. Highs in the 70s and even lower 80s that have dominated Los Angeles frequently this month will be replaced with temperatures being held to the upper 50s. A high near 70 F is more common this time of year. Record lows will be challenged all along the I-5 corridor from Seattle to Portland and Medford, Oregon, to Sacramento and Bakersfield, California. San Francisco will join this list. There can be as many as three nights, starting Monday night, with temperatures in the 20s across California's Central Valley. "It is expected to get cold enough where there is concern for some damage to the citrus crop and growers should take precautions," AccuWeather Senior Agricultural Meteorologist Dale Mohler said. "However, there will likely not be widespread damage." "Temperatures would have to drop to 24 F for four to five hours for widespread damage, and odds are against that," he said. Pipes that are above ground or in unheated or poorly insulated areas of homes and businesses are at greatest risk to freeze and burst. While temperatures should stop short of reaching the 30s in downtown Los Angeles and San Diego early this week, a frost or freeze may have residents in the surrounding valleys shivering. Such conditions may even reach the coast of Central California. Residents will want to turn up the heat and cover or bring in any outdoor plants. “This shot of cold will have some staying power with below-normal temperatures expected to persist into at least next weekend,” Vido said. Residents will notice an increase in heating costs to combat the cold as temperatures will continue to drop down to near or below freezing in the Central Valley and the valleys in Southern California. Some communities, including Seattle and Sacramento, may continue to challenge nighttime record lows daily through the week.